In the colourful heart of busy Buenos Aires you see businessmen in suits dashing past fruit sellers and their stalls, whilst the local butcher might be sandwiched between an internationally-known boutique and an award-winning seafood restaurant. Buenos Aires is both cosmopolitan metropolis and, in places, a small, friendly town. A place where everything from wine to the tango deserves celebrating in festival form! Every barrio, or neighbourhood, has something different to offer, so deciding on the best places to stay in Buenos Aires can have a big impact on your visit. If you want to take in the city's most famous sights and museums then try staying in Monserrat. For a taste of colourful Buenos Aires, La Boca is the place for you - filled with wonderfully colourful houses and oozing character. Whilst there's no specific CBD per se, visitors coming in for work purposes should probably stay in San Nicolas or Puerto Madero. Romantic holiday goers should consider staying in the more peaceful and architecturally beautiful districts of Recoleta, San Telmo or Retiro. 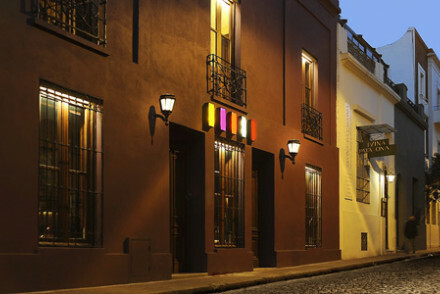 Palmero Viejo is one of the best places to stay in Buenos Aires if you want to immerse yourself in the nightlife. A magnet for independent boutiques, street culture and club culture, this is the perfect spot for evening people watching in the trendy cafes and bars. Palmero Viejo is also the only part of the Palmero district not filled with high-rise apartments, so it's got more of a traditional feel. Bohemian Palmero Hollywood is a good neighbourhood for restaurants. If you enjoy poking round galleries and antique shops, head to Retiro. This is where you'll find the Palacio Paz, and several other interesting old palaces, as well as the central train and bus stations. 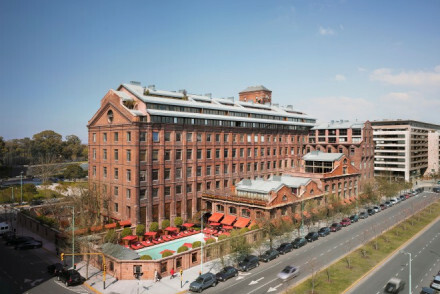 The famous red brick dockyards of Puerto Madero are being gentrified into a brand new, vibrant waterfront neighbourhood. 'Mash-ups' are where the appeal of this city-like-no-other lies, with its Bacchanalian atmosphere of partying 'til dawn and sleeping 'til midday, but still open for business first thing. You'll find a mix of edgy 21st Century style encroaching politely onto the faded gentility - this city is half Latin American, half European, and totally unique. Take in a show at the Teatro Colon, known for its splendid architecture and wonderful productions. An unforgettable experience! Spend an afternoon wandering around the smart riverfront district of Puerto Madero. Full of bustling restaurants and cafes, it's a lovely place to spend the afternoon - whilst it also has a lively nightlife that's worth checking out. Bring along a picnic and head to the beautiful Bosques de Palermo, Argentina's oldest park, which includes lakes and a Japanese garden. Culture-vultures should definitely visit the Museo Nacional de Bellas Artes, home to a fantastic collection of European and Argentinian artwork ranging from pre-Renaissance days to the 20th century. Many of the most famous Argentines, including Eva Peron, are buried in the elaborate Recoleta Cemetery. It's an impressive sight - full of mausoleums, pyramids and sculptures. The Palacio Barolo, paying tribute to Dante's 'The Divine Comedy', is architecturally striking. Mixing neo-Romanesque and neo-Gothic elements with a dome based on a Hindu design, it's definitely a spot to visit. The best places to stay in Buenos Aires are never far from shops, bars, restaurants and other entertainments including concert halls and auditoriums. So use our guide and start to plan your trip. Claridge Hotel is a traditional, European style hotel on a quiet road off from Calle Florida, one of the main shopping streets. Packed with colonial elegance, Claridge Hotel is very reasonably priced, with its 152 rooms starting from just $67 per night. 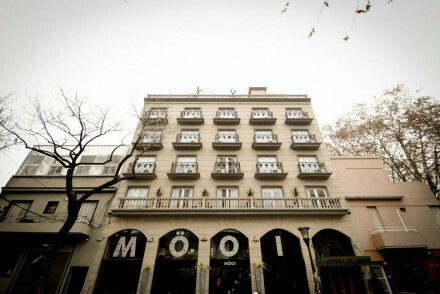 The Moreno Hotel Buenos Aires occupies a restored Art Deco building in San Telmo. Its rooms are large and light - perfect for families - and there's a gentle bohemian flair to the whole place, from its 130 seat theatre to the bar with its 300 strong wine list. Tango de Mayo boasts boutique accommodation with floor-to-ceiling windows in a charming early 20th-century building. 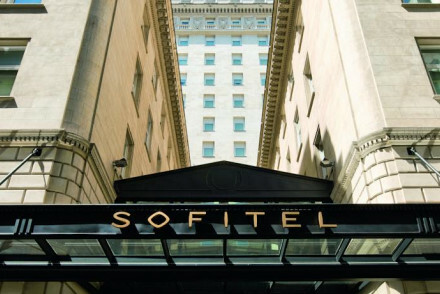 A splendid city stay! B&B Bonito is a boutique stay set in an historic property. Offering chic contemporary rooms from just $52 with clean lines and upmarket bathrooms, it's a great budget spot in a superb location for seeing all that the city has to offer. 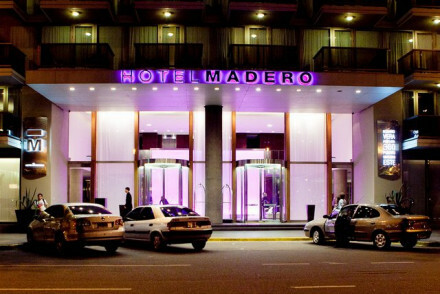 Hotel Madero is an incredibly sleek option which offers chic rooms overlooking the river and a sumptuous French-Argentinian restaurant. Philippe Starck designed the Faena Hotel + Universe, a totally luxurious, yet totally original experience. The 'Universe' bit of the name refers to the hotel's other roles; as a spa, performance arena, exhibition space, restaurants and 'library lounge'. Each guest is assigned an 'experience manager', who's there to arrange your stay - everything from polo matches to tango lessons. Super smart and chic, the Hotel Pulitzer is right in the heart of things. The Sky Bar on the roof has some of this city's best views of this city. Offering ten suites complete with private butlers, pianos and chefs, the classically elegant Algodon Mansion is one of the best places to stay in Buenos Aires if you're looking for luxury. With a spa, award-winning wines and a Sky Bar boasting supreme views, it's a first-rate spot. The Palacio Duhau Park Hyatt Buenos Aires is a five star hotel in a converted 1930s mansion. The decor is stylish and masculine whilst there's also a choice of restaurants and excellent spa. 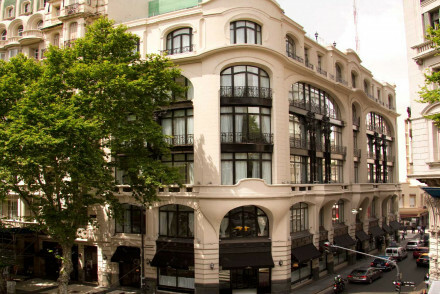 Hub Porteno is an upmarket boutique property located in the heart of Buenos Aires. Boasting individually styled and stylish suites, there's also a fantastic restaurant serving contemporary Argentine dishes as well as a rooftop bar. 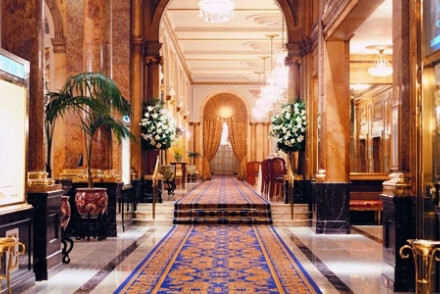 The Alvear Palace Hotel is a grand converted Belle Epoque palace with marble floors, chandeliers, glittering ballrooms and banquet halls. The CasaCalma Hotel looks like something Robinson Crusoe might have dreamed up - a real eco-warrior's fairytale in pale rooms which welcome in floods of natural light. Each room is designed as an individual spa centre with a private jacuzzi, rain showers and private saunas. 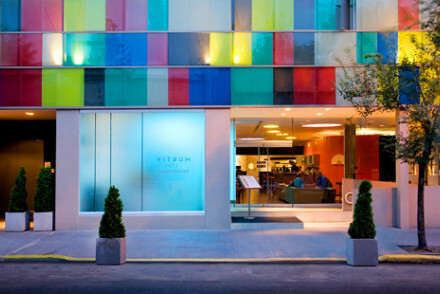 The Art Hotel is in a quiet, arty neighbourhood well located for major sights. The hotel is equally arty inside, with its own gallery and a number of Argentinian art works on the walls. Rooms are easily joined together for groups or families. A Hotel is in a leafy, residential area, with beautiful views over the rest of the city. The hotel's art galley gives this cosy and romantic spot something extra, but it's also great value - with its 35 rooms starting from just $77 per night. Ce Hotel de Diseño is a sleek and modern designer stay; featuring large windows with great views, neutral palettes and exposed brickwork. Tuck into great breakfasts each morning before setting off to explore the city. Mansion Vitraux's contemporary style and eclectic design set it apart - then there's the luxurious spa, magnificent views from the roof terrace and the complimentary wine tastings. Hotel Babel is a hub for hipsters in boho San Telmo, with an anything goes atmosphere as well as nine, great value rooms and plenty of retro cool furniture. 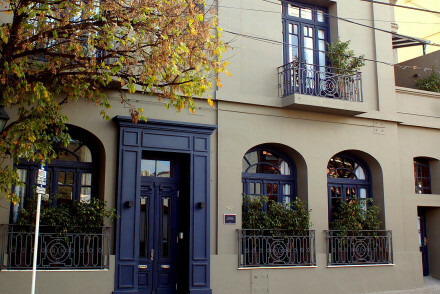 1555 Malabia House is an old convent turned B&B in leafy, but trendy Palermo Soho. It features lots of natural light, high ceilings and some very beautiful traditional features. If you prefer a smaller property, try Krista Hotel, an elegantly understated B&B with just ten rooms. Lots of carefully selected features and a small spa will have you feeling extra pampered. 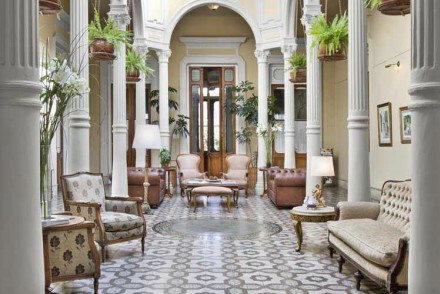 L'Hotel Palermo is a secluded gem in the heart of lively Palermo Soho. With just 24 rooms and the largest garden in the district, this is a great place to stay if you're here to relax. 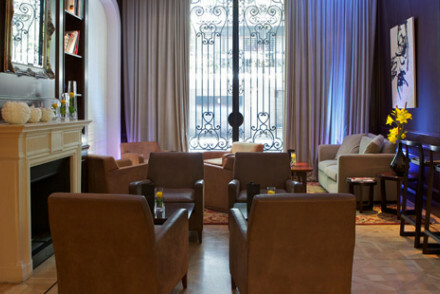 The Clubhouse, Buenos Aires offers five smart rooms in Palermo. With artwork on the walls and an outdoor pool featuring its own hip bar, this is a fun spot. The boutique Hotel Clasico, located in Palermo, offers ultra-chic black and white rooms with chandeliers and photography on the walls. Family suites are available to book, whilst you can also tuck into excellent meals at their lovely restaurant. Vitrum is striking and memorable. 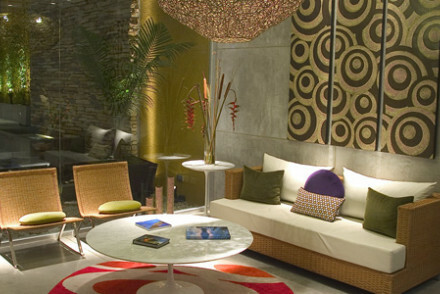 1960s modern and very colourful, this hotel is as lively as it looks, with a great spa and trendy restaurant. Legado Mìtico is a wonderfully Argentinian themed hotel with individually decorated rooms based around local heroes from Che Guevara to Eva Peron. Mine Hotel Boutique is hip yet intimate, boutique-y, yet eco-friendly. With bright, contemporary interiors, in-room jacuzzis and Palermo's nightlife just around the corner, it's a fun place to stay. The Avant-garde design and simple, yet funky, individual room designs make Vain Boutique Hotel one of the best places to stay in Buenos Aires on a budget. Whilst it's never overly chilly, for the best weather visit Buenos Aires in the summer, from November to March. December and January are the hottest months, with an average daily temperature of 25°C. International visitors can fly into Ezeiza International Airport (aka Ministro Pistarini), located 30km southwest of the city. British Airways offer direct flights from Heathrow. From here, you can hop on a bus to Plaza de Mayo, located right in the centre of Buenos Aires. You can always explore further afield in the vibrant and exciting country that is Argentina. 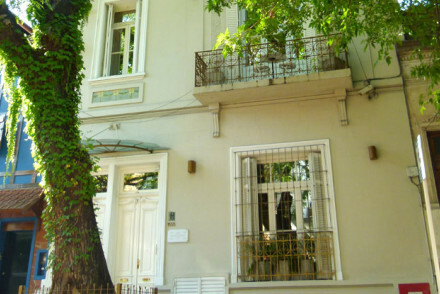 The boutique B&B Bonito is located in an historic building in the Montserrat district of Buenos Aires. Each chic room is decorated in an elegant style accompanied with an upmarket bathroom. Wander around the city, learn to tango or go watch a football match. A simply superb option for a city stay! Great walks - Head along to Puerto Madero and go for a walk along the waterfront or even better head to the Ecological Reserve! A hip and romantic B&B set in a beautiful neo-classical building and surrounded by artworks. Lovely boutique rooms have attractive decoration and views onto a pretty garden. Breakfast room, sun bathing area, tango lessons and yoga classes. A real steal in a cool area. Sights nearby - Armenia Square and Serrano Square are bustling with attractions. Colourful boutique hotel in Villa Crespo. Contemporary rooms have large beds, flat screen TVs, iPod docks and modern bathrooms. Library lounge and business centre to plan your excursions from. No restaurant, but walking distance to plenty of eateries. Great value, cool and friendly. 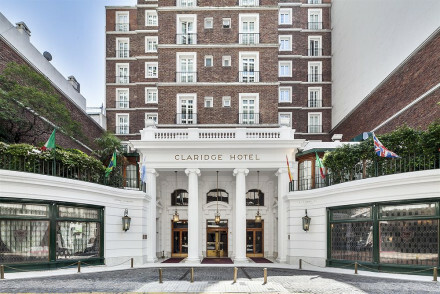 Great value hotel in Buenos Aires most exclusive neighbourhood. Elegant and understated rooms house canopied beds, wrought-iron balconies and original Argentinean art. Charming inner patio, art gallery and cozy library to boot. Don't miss breakfast on the pretty roof terrace. Value chic - In a prime location, surrounded by the hippest spots in town, with elegant understated interiors and a reasonable price. Local exploring - Wander amongst the marble-facade mansions and leafty streets of the hisotric and upmarket Recoleta area. A traditional European-style hotel with classic bedrooms and great business facilities. The Tudor-style restaurant serves local and international cuisine and the cultural heritage coffee shop is renowned for its high tea.The rooftop pool boasts wonderful views of the city. Value chic - Centrally located, elegantly decorated and with wonderful services and a touch of glamour- all for a very affordable price. Sights nearby - Head down to the nearby La Casa Rosada, the executive mansion of the President of Argentina, to watch the changing of the guard. Lively - Live music in the English style pub. An old convent turned designer bed-and-breakfast in a fun, safe neighbourhood. Lots of natural light, high ceilings, and white open spaces meld with traditional features to create a sense of wellbeing. A lovely place to relax and to explore the city from. 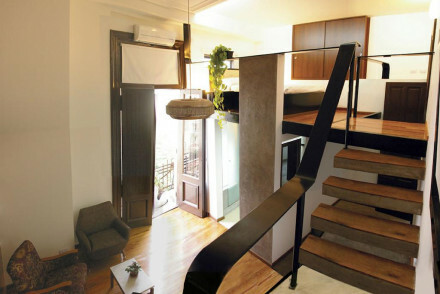 City Style - A century-old town house and convent turned chic boutique property in the trendy Palermo Viejo neighborhood. Local markets - Close to both the Evita Museum and the Fine Arts Museum. Sights nearby - Nearby to Palmero Zoo and the Botanical Gardens. 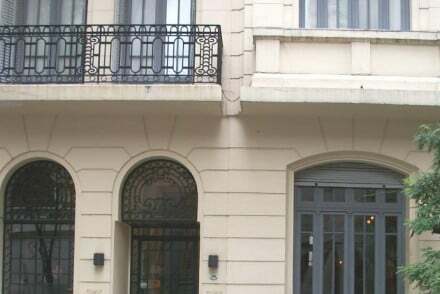 A beautifully resotred Art-Deco building in San Telmo, offering luxurious modern facilities. Loft-like rooms boast sophisticated style with lots of natural light, white washed walls, and rich wooden furnishings. A stylish city stay with Bohemian undertones and plenty of crushed velvet! Honeymoons - A unique honeymoon experience with the subtly sumptuous king sized suites, tangoo basement and sultry jazz-age lounge. City Style - Art Deco style with a modern twist- wrought-iron cage lift and crushed velvet drapes meets cowhide upholstery. Views - Fantastic views of the city from the roof terrace. 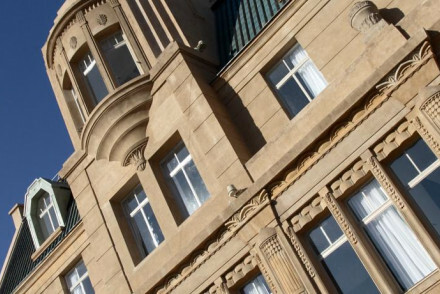 This hotel is set in a beautiful building from the 1910's located on Mayo Avenue, central Buenos Aires. It features boutique, elegant accommodation with a contemporary twist whilst each room also boasts floor-to-ceiling windows overlooking the city. Perfect for a smart and great value city stay. 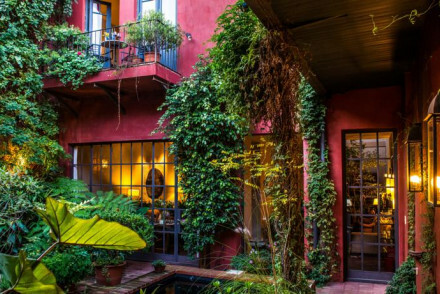 A boutique B&B in a bohemian district of central Buenos Aires. Understated elegance is the order of the day with ten beautiful individually decorated rooms. Natural light fills charming courtyards and exquisite textiles cover oak paneling. A peaceful sanctuary in a trendy area. City Style - With Original wood floors, high ceilings, dark oak panelling, exquisite stained glass and subtle design touches. Great walks - The lovely Parque Tres de Febrero has rose gardens, boating lakes and Japanese gardens. Spa - Spa treatment rooms. A hotel in a leafy residential area with an art gallery, sweeping marble staircases, and a roof top terrace with views over Buenos Aries. A cosily romantic place to stay, relax, and peruse the many artworks in the hotel and surrounding galleries. Artworks - Lobby art gallery. A boutique hotel in the trendy Palermo Hollywood area. 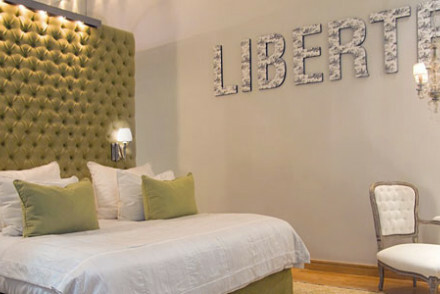 Chic rooms feature chandeliers, black and white photography, parquet flooring and contemporary bathrooms. Dine in the hip restaurant, Mooi before hitting the lively bars in the neighbourhood. An excellent base for exploring the city. Local exploring - Situated in a lively district surrounded by bars and restaurants and with good transport links. Local markets - Scour the markets in San Telmo for artisanal crafts and souvenirs. A chic hotel offering loft apartments and suites in trendy Palermo Hollywood. 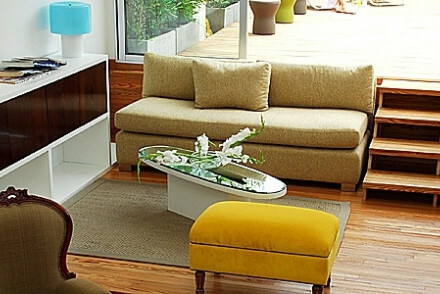 Interiors are contemporary, with soft hues lightened with pops of colour and modern pieces of art. A small spa offers a wide range of massages. Indulgent breakfasts are served. The ideal base for city exploration. 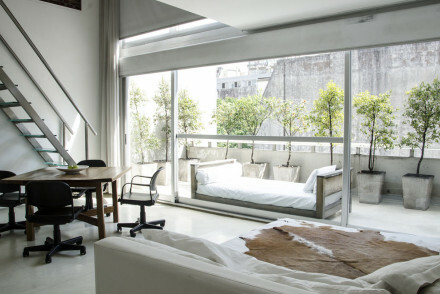 City Style - A chic property in Buenos Airies' trendy Palermo Hollywood district, with slick loft and studio style suites. Hotel Babel is a hub for the hip and trendy - and great value for money. An anything goes atmosphere with retro designs. A laid back and funky place to stay in BA's boho district. 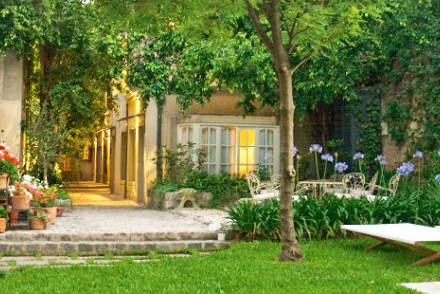 A wonderfully placed boutique hotel close to Palermo Soho's hip boutiques and BA's only Botanical and Rose Garden. Avant-garde design, individually decorated rooms, and tranquility in the solitude of a terraced hide-out. An ideal base to explore BA from. Sights nearby - Close to the Malba gallery - contemporary Latin American art (Frida Kahlo and Diego Rivera). 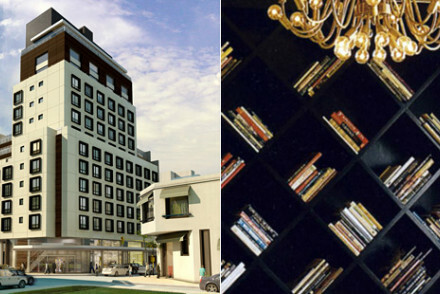 An uber hip hotel in one of Buenos Aires' trendiest parts of town. Sleek contemporary rooms are bedecked with contemporary art and boast luxurious bathrooms. The rooftop pool is the perfect spot to enjoy a drink and the contemporary Nikkei cuisine certainly doesn't disappoint. Fabulous. 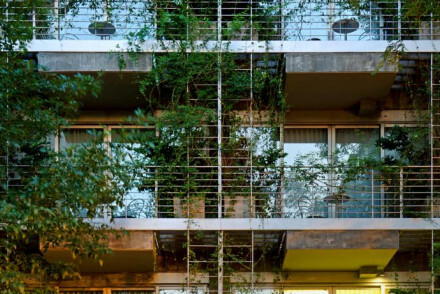 City Style - An ultra cool hotel boasting eco-chic vertical landscaping in the trendy Palermo district. Great walks - Take a walk in the nearby park, Bosques de Palermo. A funky boutique hotel, oozing life and understated cool. Contemporary rooms are decorated with vibrant colours on white washed walls, vintage wallpaper and retro furniture. The bar has a wide selection of cocktails and the spa offers Ayurvedic massage. A trendy hang out you could call home. Total relaxation - Truly homely, with warm service, fresh flowers everywhere, seaweed wraps, massages and deep soaking tubs. Local markets - A 10-block walk from Serrano Square’s trendy craft fair in Palermo. Restrictions on children - Older children are accepted. A wonderfully unique hotel, with undertones of quiet sophistication and glamour. Each room gently honors a national hero. Wooden floors, paintings, posters of the era, and fireplaces make it a completely charming cultural infusion. No restaurant or bar, but in a buzzy area of town. Value chic - Great value for a remarkable stay- with leather Chesterfields and Mies van der Rohe chairs mixed with old tango posters. City Style - Effortlessly stylish and sophisticated, each room subtly nods to a hero of Argentina's tumultuous past. Restrictions on children - 12 years and older only. A contemporary hotel in the heart of Buenos Aires. Sleek design incorporates plenty of glass, exposed stone and neutral colours. The best rooms boast views over Rodriguez Peña Square. Indulgent breakfasts are served and find an efficient concierge service to help plan your stay. Spoiling. City Style - A trendy contemporary hotel in the heart of Barrio Norte, ideal to return to after a day in the city. Sights nearby - A short walk from the fascinating Recoleta Cemetery. A chic contemporary property set in the heart of Palermo Hollywood. Stylish rooms feature floor to ceiling windows, polished wooden floors and crisp white linen. A glorious spa will provide some serious pampering after a day exploring the city. A tranquil escape in a prime location. City Style - A contemporary hotel complete with fabulous spa. A stylish stay. Great walks - Take a stroll through the Botanical Gardens and the woods in Palermo Park. 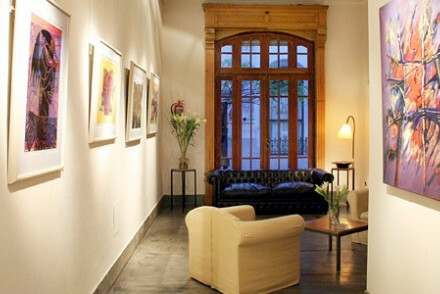 Sights nearby - Find numerous galleries to explore in the Palermo Soho district. An extremely smart contemporary hotel in BA's financial district. Primarily a business destination, but its outstanding facilities and magnificent roof top Sky Bar should not deter any city visitors. Business meetings - Located in the financial district this is a prime spot for business meetings. Bar - Magnificent open-air Sky Bar. 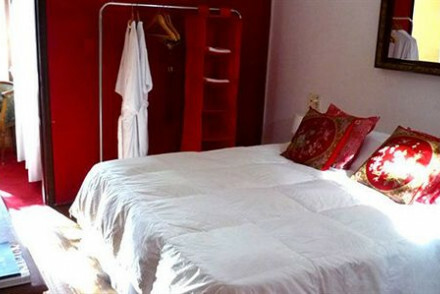 A boutique hotel in the outstanding location of San Telmo. Eclectic contemporary designs set this hotel apart architecturally - not to mention the accompanying luxury of the spa, magnificent views from the roof top terrace, and complimentary wine-tasting. True city-style. Roof terrace - Roof terrace with swimming pool, deck chairs, and fantastic views of the surrounding spires. Outstanding location - San Telmo is vey near the main attractions, but quiet in the evenings. Boutique - Contemporary designs, but electically styled. Wine tasting - Free wine tasting. 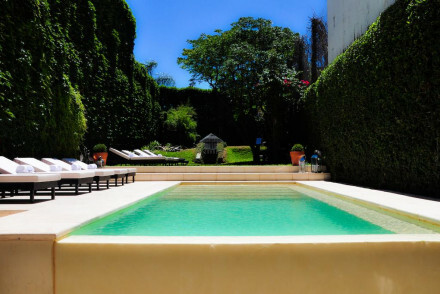 A secluded hidden gem in the heart of lively Palermo Soho. A uniquely quiet destination with a large garden and stunning roof top terrace - sip cocktails and recline on the wooden beds St Tropez style. A chic refuge. 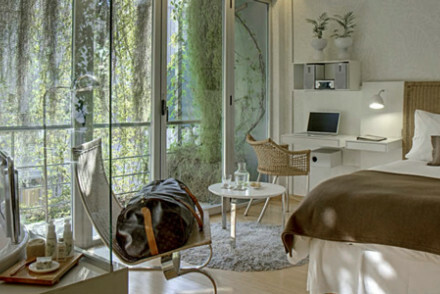 Quiet - A real hide-away in the centre of bustling Palermo Soho. Hideaway - A gem hidden in central Palermo Soho. Garden - The biggest garden in Palermo Soho. 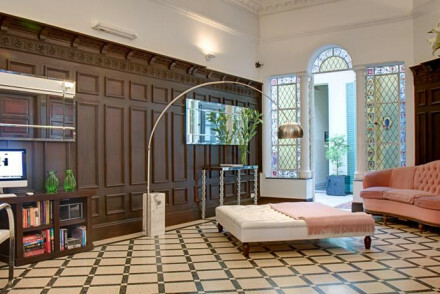 A stylish hotel in the smart district of Recoleta. Light and airy rooms are cleanly designed with crisp white linen, floor to ceiling windows and luxurious bathrooms. An indulgent spa is the perfect spot for an afternoon's pampering. Well positioned for accessing BAs most exclusive areas. Very chic. 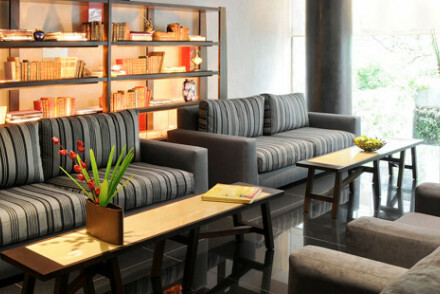 City Style - A stylish design hotel in the upscale Recoleta area. 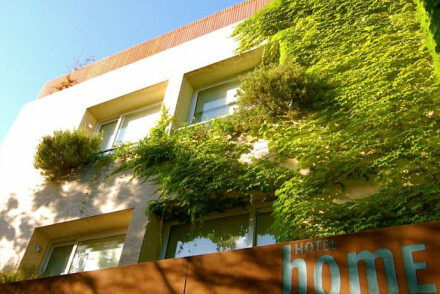 A hip, intimate, and eco-friendly hotel in the heart of Palermo Soho - enjoy the boutiques and bars on the hotel's doorstep. Bright contemporary interiors and in-room jacuzzis ensure a comfortable stay. Suitable for families and city-explorers. 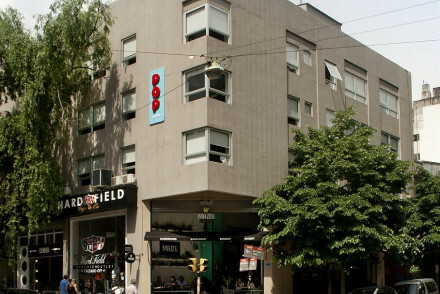 Outstanding location - Slap bang in the middle of Palermo Soho's boutiques and bars. Eco - Impressive environmental practices. This striking Art Deco hotel is a lively destination. 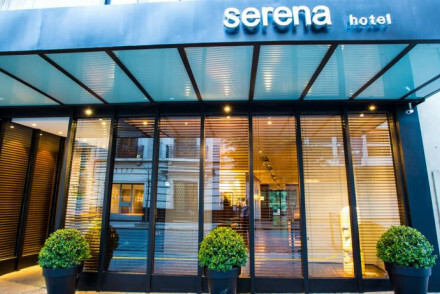 Avant-garde designs, colourful boutique rooms, fabulous spa, and trendy restaurant - all ensure an exciting stay for a city break. Find the epitome of elegance in this restored colonial residence. Suites and rooms are decorated in rich colours with antique furniture and featuring impossibly tall sash windows framed by delicate linen. The small spa and courtyard pool are the icing on the cake to this lavish property. City Style - Live the 'good-life' in this elegant property in Buenos Aires' upmarket suburb, San Isidro. This hotel is an eco warrior's fairytale. A Robinson Crusoe-esque building wrapped in the canopy of plants to save energy. Each light-wooded and bright room is a private spa-haven with a jacuzzi and sauna. The ultimate eco spa-break. Spa breaks - Each room is designed as an individual spa centre wit jacuzzi, rain showers, private saunas, massages. Hot Tub - Each room has a large jacuzzi. 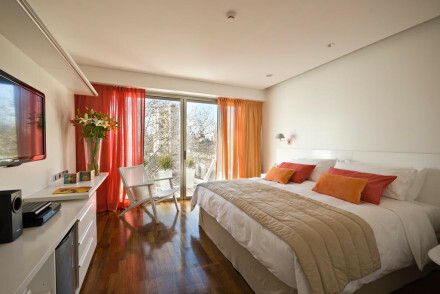 A chic small hotel in the trendy Palermo Soho district. 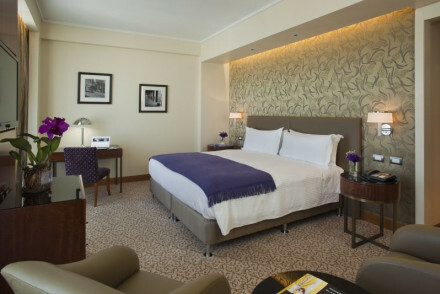 Contemporary rooms are light and airy with floor to ceiling windows, plush leather bed heads and luxurious bathrooms. An atmospheric piano lounge makes for glamorous evenings. A terrace pool and small spa are utterly spoiling. Fabulous. 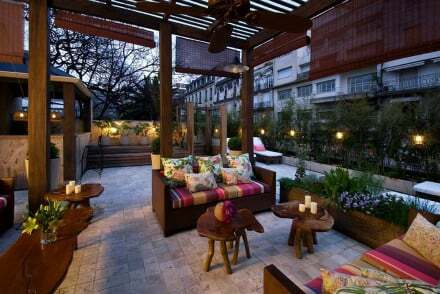 City Style - A chic property complete with a piano lounge and terrace pool in the trendy Palermo Soho area. Urban and modern designs welcome guests to this boutique hotel in the happening Puerto Madero District. Chic, modern rooms, with private balconies boasting fantastic views of the River. 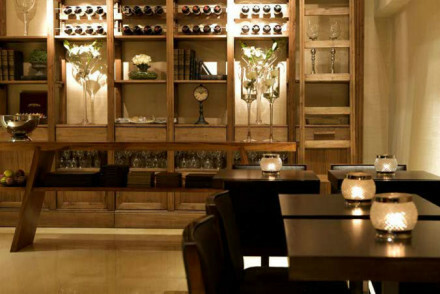 Red Resto & Lounge offers an extensive wine list with its French-Argentinean cuisine, or check out The White Bar. City Style - Popular with visiting British rock stars, television personalities, and fashion photographers for its sleek and subtle swagger. Local markets - Be sure to head down to nearby Dorrego Square, where each Sunday an antiques fair takes place. Great walks - Take a stroll down to the riverside ecological reserve, for a breath of fresh air. Spa - Spa treatments on request. Gallic charm merges with Argentine flair in this imposing landmark building. Situated steps from antique shops and art galleries, and equipped with fantastic facilities. Exuding old school elegance and charm this hotel is a great spot for any visitor. Large, luxurious rooms and fine dining for all. City Style - An Argentinean Art Deco landmark, swathed in elegance & glamour with splendid chandeliers & glimmering Boticcino marble floors. Romantic Break - French drapes, dark-wood furnishings, fresh flowers and unbelievably plush beds lend an old school romance to these suites. Sights nearby - Recoleta Cemetery is within walking distance, or request a car from the front desk. A luxurious members-club in a hip part of town. Smart rooms mix traditional features with contemporary style. An atmospheric lounge full of artwork has a grown-up feel and a cool pool-side bar adds a little fun. Well located for accessing the cities best nightlife. Very chic. City Style - Located in the trendy Palermo district treat yourself in this wonderfully spoiling members only club. Great walks - Take a walk in the picturesque Buenos Aires Japanese Gardens. A small, beautiful, garden property in a hip district. Luxurious rooms exude a contemporary feel, yet are decorated with Argentine artefacts. Split into two sections the house is rentable as a half or as a whole. Staff keep themselves scarce unless needed giving the place a homely feel. City bliss. 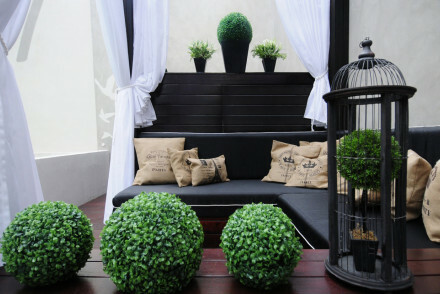 City Style - A chic boutique hideaway with lush gardens and slick interiors, in one of Buenos Aires' hippest districts. Sights nearby - Visit the Cementerio de la Recoleta a strangely fascinating experience. An ultra-chic hotel in the trendy district of Recoleta. Rich wooden furnishings, neutral tones and subtle lighting make for a smart-rustic but relaxed ambience. A fantastic Indian restaurant, Bengal, and a pampering spa. A stylish city spot. Billed as an art hotel and close to the financial district, this tall new boutique hotel has fabulous panoramic views of the city. Sunny, light and airy, public rooms and suites are spacious and luxurious. Marble, natural fabrics, mirrors and art, are used to the bare minimum, the effect is superb. This Philippe Starck-designed hotel represents the best in extravagant decoration and cultural performance. Lavish and individually decorated rooms, fantastic restaurants, and performance spaces which host anything from tango to art exhibitions. A unique experience. Foodies - With a range of choices from El Bistro, El Mercado, The Library Lounge and La Cava there is truly something for every palette. City Style - This trendy and sophisticated hotel by Argentinean fashion designer Alan Faena and Philippe Starck oozes elegance. Cooking classes - The hotels ‘School of Good Living’ offers classes on dance, cooking and wine- a must! A majestic boutique hotel. Stunning six meter-high doors made from French oak wine barrels lead into a wonderland of design - marbles, silks, cottons, and glass abound. Luxury spa, gourmet restaurant, and lively bar. A marvellously unique hotel for city visitors. Library - Vast library with an exlcusive selection of books and Ipads too. Sitting Room - The hotel lounge is stop on the local nightlife circuit. Suites - Rooms and suites are more like private apartments. Bar - Terrace bar with stunning views. A hip boutique hotel in the heart of the grand old city. Individually styled suits feature floor to ceiling windows, parquet flooring, plush fabrics, chandeliers and elegant marble bathrooms. Find a fantastic restaurant serving modern Argentine cuisine and a trendy rooftop bar. Fabulous. City Style - A wonderfully glamorous boutique hotel boasting a fantastic restaurant and cool rooftop terrace. Sights nearby - Just a short walk from the beautiful Recoleta necropolis. This townhouse hotel epitomises all things luxurious with uncompromising classical elegance. Ten outstanding suites provide private butlers, pianos, and chefs. Fantastic spa, extensive wine lists, and magnificent Sky Bar. Extravagance with style. Artworks - The hotel exhibits the art works of contemporary artist Eduardo Hoffman. Roof terrace - Magnificent views from the Sky Bar, swimming pool, deck chairs. 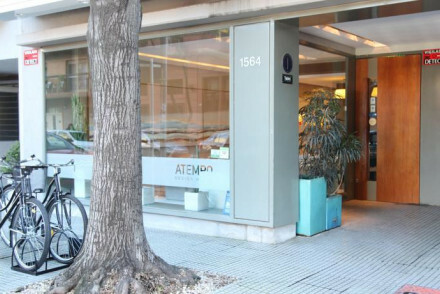 Outstanding location - Set in Recoleta - the Belgravia of Buenos Aires. Good wine list - Award-winning wines. 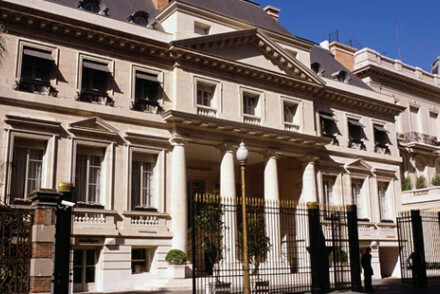 Alvear Palace has all the splendour that one would expect from an aristocratic palace. Grandeur and elegance permeate the interior with marble floors, chandeliers, glittering ballrooms and banquet halls. The lap of luxury for any city visitor whether on business or holiday. Private dining room - 12 magnificent ballrooms and banqueting halls - up to 1500 people. Elegant - The height of sophistication and Belle Epoque elegance. Outstanding location - Very close to cultural attractions and shopping areas. Restaurant - Delicious French cuisine. A 5* luxury hotel in a 1930s mansion. Contemporary and masculine decoration with hard woods and sleek clean lines. The spa is its piece de resistance. A stylish destination not just for business meetings or spa breaks. Restaurant - Two gourmet restaurants and separate breakfast and tea room with garden views. Spa breaks - The most extensive spa in town.